Contact - Gail Post, Ph.D.
Office hours are available Monday - Friday by appointment. Feel free to contact Dr. Post to set up an appointment. * Initial phone consultations are available to determine whether therapy with Dr. Post is right for you. 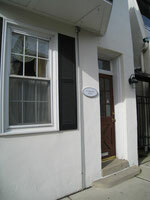 Located at the corner of West Ave. and Johnson St. in Jenkintown, the office is just one block west of Old York Rd. (Rt. 611). Please see the map below for directions. Jenkintown is a small borough in Eastern Montgomery County, just a few miles from the Philadelphia border. 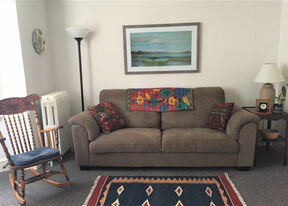 It is accessible by car or public transportation, and is convenient to lower Bucks County, Northwest Philadelphia, and Northeast Philadelphia. During off-peak hours, it takes approximately one-half hour to reach Center City Philadelphia by car. Nearby public transportation includes the 55 bus on Route 611 or the Glenside, Warminster, and West Trenton Lines at the Jenkintown Train Station. The commute by train from Center City takes 20-25 minutes. *Please be aware that there are inherent confidentiality risks involved when communicating by email. While safeguards are in place to ensure your privacy, you should not contact Dr. Post by email if you are concerned about any breaches in privacy that might inadvertently occur. It is always preferable to contact Dr. Post by phone in order to ensure confidentiality. * Please also note that Dr. Post is not available for crisis or emergency counseling online or by phone. If you need immediate assistance, you should call 911, or contact the Montgomery County Crisis Line (610) 279-6100.